The issue of immigrant deportation is front and center in this year’s impending election. There’s a lot of anger and invective aimed at immigrant workers, today, both those who are legal and illegal. One side of the story that is not told frequently enough is that of the unscrupulous employers who exploit these workers. For more than a dozen years, we’ve been talking about the abuse of workers who do the most dangerous jobs under appalling conditions – a situation that is often characterized as modern day slavery by journalists who investigate the employment practices. It’s one of our nation’s dirty little secrets: immigrant workers are doing some of the nation’s most dangerous jobs, are being injured and dying disproportionately in those jobs, and denied benefits when injuries and deaths occur. In a political climate where the rhetoric and emotions are high and seemingly getting higher by the day, a “blame the victim” mentality is pervasive. The latest case in point is illustrated in an investigative report in the Boston Globe by Beth Healy and Megan Woolhouse: In building boom, immigrant workers face exploitation. “A Globe investigation found that these workers, eager for a paycheck, are often paid below the prevailing wage and illegally, in cash. They are also the most likely to be subjected to unsafe work conditions, without insurance to cover medical bills or lost pay if they get hurt. And the unscrupulous contractors who employ them are too seldom caught and penalized. The report notes that in Massachusetts over the last three years, federal officials logged 910 “willful or repeat violations” involving hospitalizations or deaths, but that the real number of injured workers is likely much higher. This is a population that often doesn’t have command of the language and is generally unaware of labor laws. Those who are undocumeted feel powerless to bring complaints or are fearful about seeking help from hospitals or authorities. The article cites numerous cases of primarily young, male workers, many who speak limited or no English, who are characterized as independent contractors. It paints a portrait of a disposable population that is abandoned after injuries and left to fend for themselves to find medical care. It’s a deplorable tale, one that has been playing out across the country for years. A common theme is the layer after layer of contractors and subcontractors, making it difficult to assign responsibility. For a number of years now, state authorities have tried to enact measures to restrict abuse of the “independent contractor” designation, but it’s a pervasive problem still. This underground economy is not just exploiting workers, it’s also grossly unfair competition to legitimate employers who operate honestly, pay insurance, pay taxes, and pay fair prevailing wages. 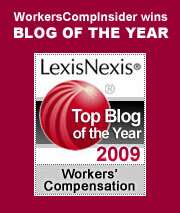 Related by Tom Lynch: Undocumented Immigrants In The Workers Comp Bullseye?